That’s right mophos, I’m bringing it back. PSYCH! So, I think I had a dream about this the other night, but it might have been from the package of ridiculance I had before I went to sleep. 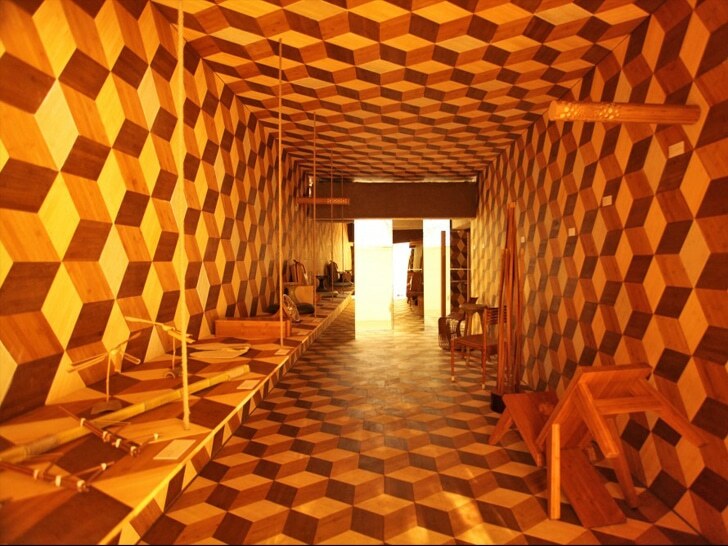 This is awesome — Jeff Dah-Yue Shi takes the idea of the ol’ Q-Bert pattern and turns it into walls in a room. Can you say RHOMBUSES?! Here’s the man himself talking about the installation — check it out! Jeff’s design was for the Taiwan Design Center, which is a pretty cool concept, check out the website. It’s promoting design and designers from Taiwan. 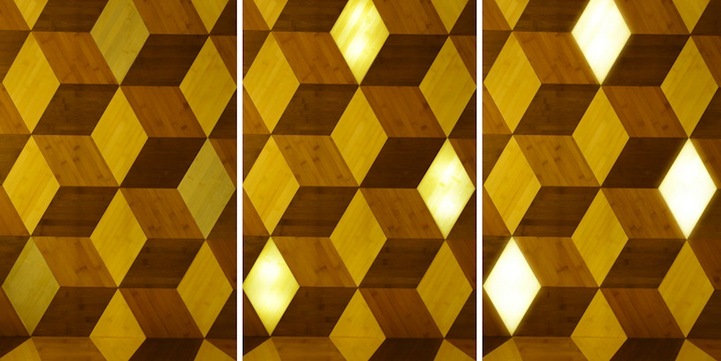 To create these beautiful lights, Dah-Yue Shi placed LEDs behind the bases of each rhombus. 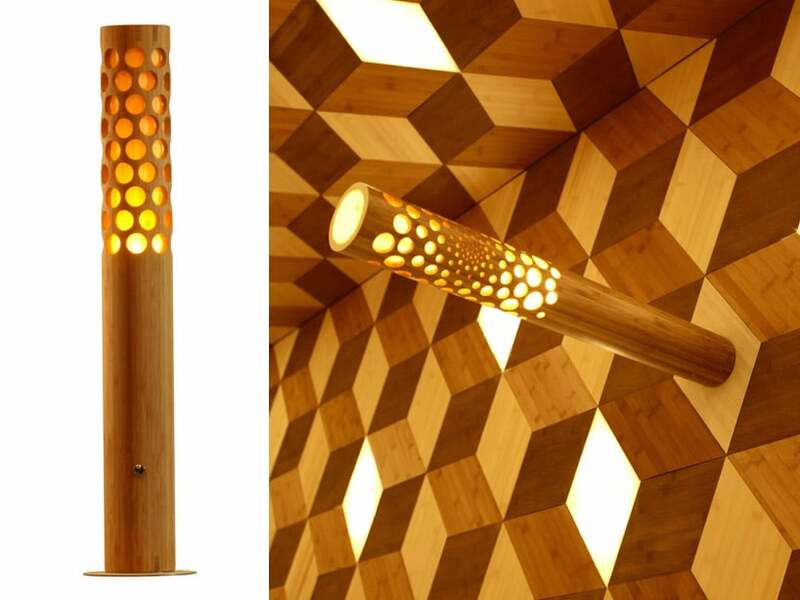 On top of the LEDs is a layer of tempered glass with a thin application of bamboo veneer. 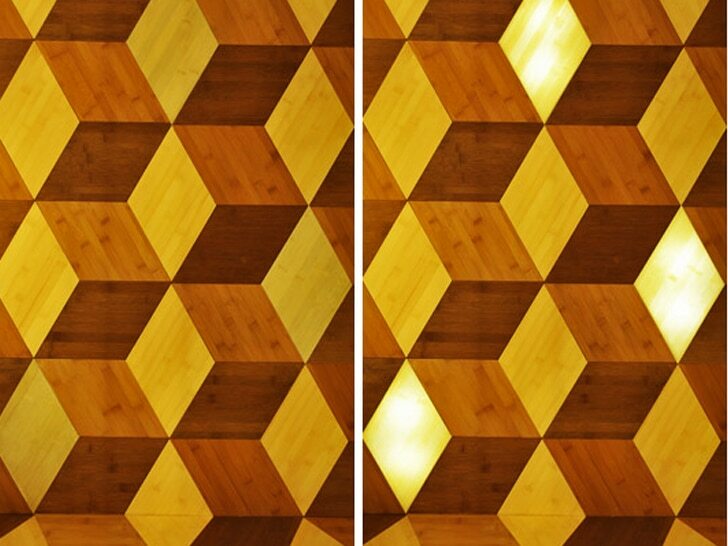 This allows for the lights to shine through while also blending into the patterns around it. 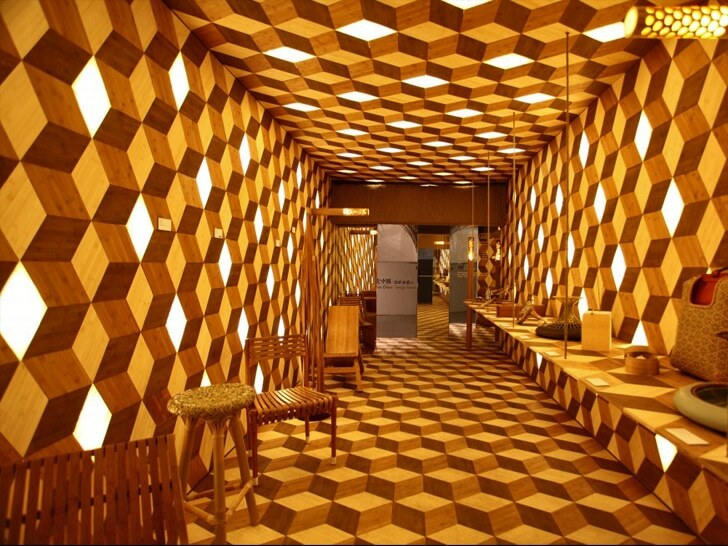 Because of both the patterns and shifts in color, a three dimensional optical illusion is created. 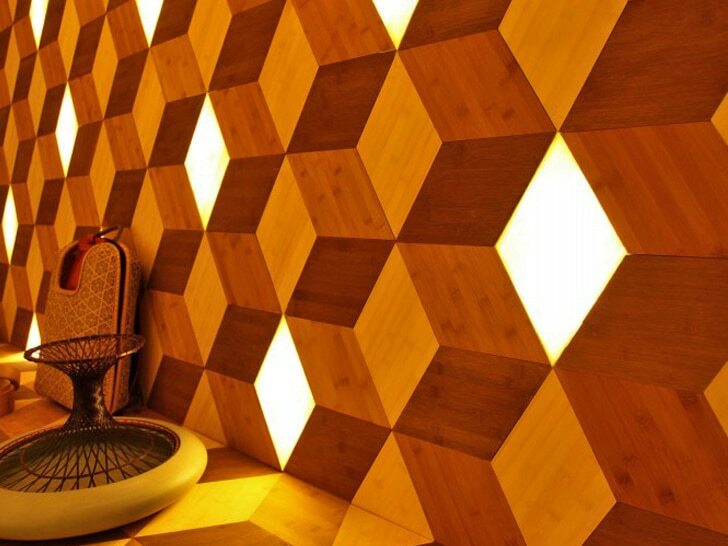 This type of lighting system is designed to be used anywhere like clubs, offices, and even homes. Really cool! Great work, Jeff! Thanks to Inhabitat and MyModernMet for the images, and DesignBoom!